Daniel Lombard is the other half of Crossbones Dog Academy. After four years as a professional dog walker, Dan is training dogs full-time in our Puppy Day School program. His quiet nature and endless patience brings even the most reserved, shy dogs out of their shells. His goatee makes him quite the "puppy magnet!" Dan is a graduate of Norfolk County Agricultural High School and is Pet First Aid certified through the American Red Cross. He is TAGteach Primary Level certified. He recently began taking lessons in herding and is enjoying the process of teaching his Shetland Sheepdogs to work stock. His young dog Anthem shows a ton of potential in the sport of dog agility, winning her first three consecutive Novice Jumpers classes! 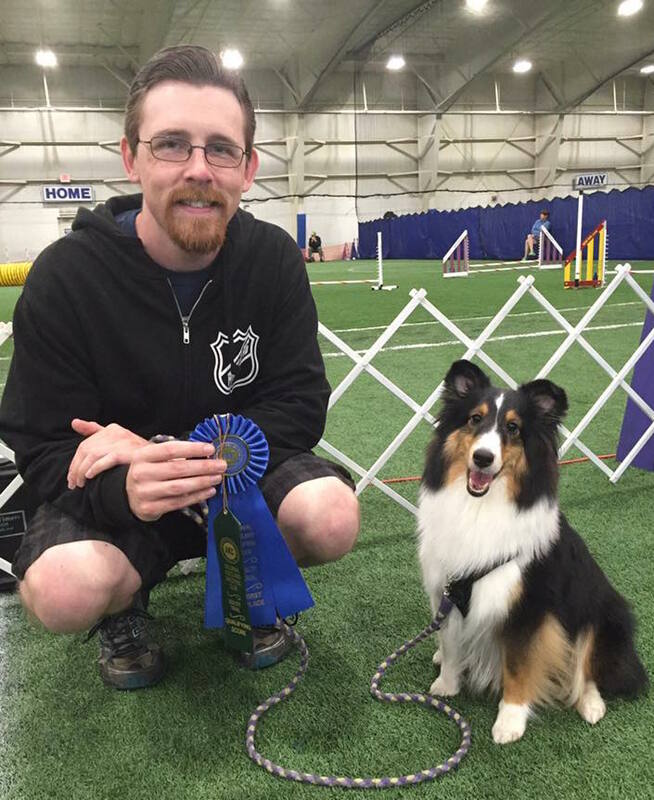 She was the top 16" dog at the 2017 USDAA TitleMania East event.